I, Woodrow Wilson, President of the United States of America, by virtue of the authority vested in me by the said Joint Resolution, do hereby direct the government officials to display the United States flag on all government buildings and do invite the people of the United States to display the flag at their homes or other suitable places on the second Sunday in May as a public expression of our love and reverence for the mothers of our country. So wrote President Wilson on May 9, 1914, a hundred years ago today, marking the institution of Mother’s Day in the US (read the full proclamation here). 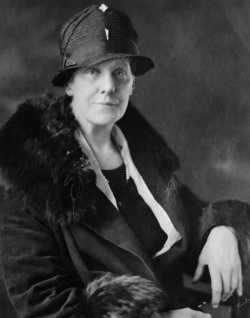 It came about through the sweat of one Anna Jarvis, moved by her own mother’s death to campaign for wider recognition of the role of mothers in society. Later, as the holiday became increasingly commercial, she came to regret her exertions and mounted a series of spirited attacks on those who sought to exploit it for profiteering or fundraising, including Eleanor Roosevelt. She lost: according to the National Geographic, Americans will spend nearly $20 billion on mom this year. According to Hallmark, it falls behind only Christmas and Valentine’s Day in terms of greetings cards bought. But whatever the ethico-capitalist standings of Mother’s Day, its centenary seems a particularly apt moment for reflection. This being a literary blog and your loyal blogger a lazy thinker, I decided to google “mothers in literature” for inspiration. What did I find? Horror! “The 10 best bad mums in literature”, “Bad mothers in books”, “The 10 Worst Mothers in Books”, “12 Of The Most Horrifying Mothers Of Literature”… Something of a pattern, and not a cuddly one. These lists — written mostly by women, incidentally — are generally humorously intended, or implicitly self-questioning. But it got me a-thinking. Is this harmless festive frippery or further evidence of the misogyny deeply imprinted in our sociocultural fabric? Fairytale mums — and their sterile Disneyed descendants current today — are pretty much the catalogue of ur-mothers in our literary tradition, and they’re nearly all dead or wicked. Flip to fathers, on the other hand, and among a to-be-expected share of wicked and tyrannical types you’ll also find the sage and the just, the heroic and the complex. There are complex and brave and wise women, too, of course, but they tend to be the yet-to-settle-down crowd. But then it’s all very well moaning about sexism in the Brothers Grimm; zip forward a few paradigm shifts and where are we now? [She] was very beautiful. She married a fairly rich man, a Cuban, and after I was 10 I lived with them (mostly in New York). Unfortunately, my mother, who had several miscarriages and as a result developed mental problems, became an alcoholic and made my life miserable. Subsequently she killed herself (sleeping pills). The similarities are weird. Both emphasise physical beauty; condense exquisite suffering into parenthetical phrases; end in death. Much like our fairytale forebears. Elsewhere in the great American canon, there’s Holden Caulfield declaring that “mothers are all slightly insane”; Philip Roth’s Portnoy-mère; Cathy, mother and madam, in East of Eden; even Daisy Buchanan, who declares that the best thing her daughter can grow up to be is a beautiful little fool. These aren’t flimsy characters but they sure do fit a type, and it’s not a positive one. Indeed, it’s tough to think of a single great book written by a man in which a positive mother-figure lives happily ever after. There’s no doubt a Freudian reading of all this that I’m resisting making. But is it all doom and gloom for the American mother? Fortunately not. Who can forget Margaret March in Little Women or Steinbeck’s Ma Joad? Or even the more complex figures of Sethe in Beloved or Eva in We Need To Talk About Kevin, women who survive their respective novels even if at great cost. The real task is not one of tallying, of course. There will be plenty of counter-examples to what I’ve said thus far. But the point remains that we’re as quick — if not quicker — to start blaming mother as we are to celebrate her, and I’m not sure that’s really in the spirit of things. And I mean how many wicked stepmothers do you actually know? Why aren’t we reading about the silent majority of mothers, the wonderful, loving sort that we actually see on a daily basis and many of us are lucky enough to have? To save yourself from the scorn of Anna Jarvis’s ghost, it’s clear you can’t head to the florist or confectioner this weekend. But if you’re book-shopping ahead of Sunday, do be careful what you buy!